eGifter, the eGifting Company™, has developed a suite of disruptive technology that is revolutionizing the prepaid market. 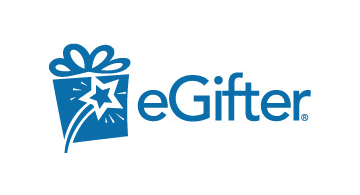 Our consumer marketplace, available at eGifter.com or in our mobile apps for iOS and Android, offers a wide gift card selection and complete payment flexibility. Consumers can choose from hundreds of leading US and international gift card brands and pay with credit card, PayPal, bitcoin, bitcoin cash, Venmo, ApplePay, GooglePay, Skrill, and many other frictionless mobile and crypto options. The eGifter Marketplace is also available as a white-label SaaS Platform, providing a branded gift card marketplace for partners both domestically and abroad. This Platform can be delivered with brand content and payment options, or can work with a partners brand catalog and payment options. eGifter’s Rewards & Incentives Platform transforms rewards and incentive programs with a digital-first gift card offering, providing both closed and open loop options. Rewards can be delivered via email or text, individually or in bulk. Physical cards are also available. This Platform includes an API to support a wide variety of innovative use cases, such as in-app rewards, member acquisition and audience monetization. eGifter also offers an innovative and robust gifting Platform to power stored value solutions for merchants’ B2C and B2B gift card programs, gift registries, and other use cases. The Platform supports more than 60 major brands including Abercrombie & Fitch, American Eagle Outfitters, Target and Williams Sonoma. To learn more about eGifter and our gifting platform, visit our corporate site at corporate.eGifter.com or go to our consumer site at eGifter.com.